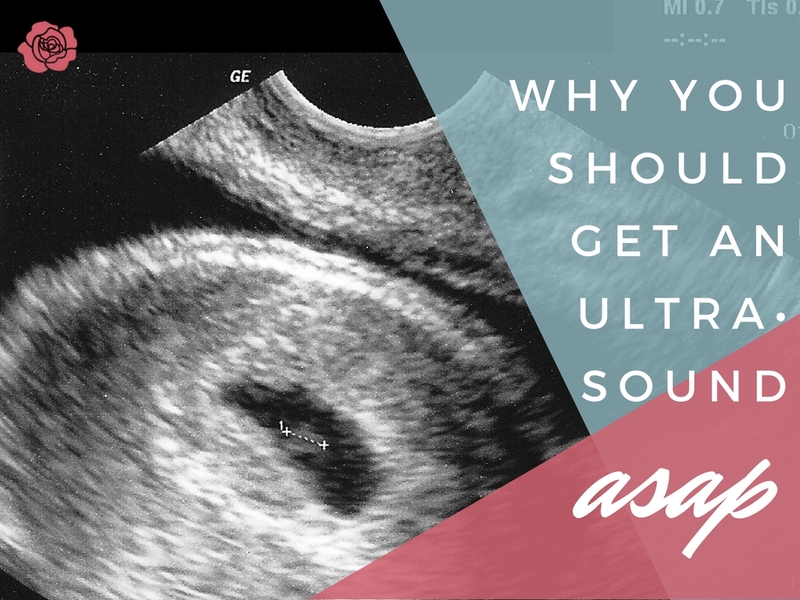 Little Way: Why you NEED an ultrasound. If you’re pregnant, excited or not, receiving a free ultrasound at Little Way could be one of the most important things that you do. There are countless medical reasons, personal reasons, and educational reasons for having an early ultrasound, especially if you are unsure what to do about being pregnant. Plus, as women, we’re always up for education about what is happening in our bodies. Stating the obvious here, sometimes unplanned pregnancy is stressful. Maybe you have no clue when your last menstrual period was (thanks, inconsistent cycle ? ), maybe you are thinking there may be paternity issues (not an easy discussion for sure), or maybe you are concerned about money because having a baby or terminating a pregnancy are both expensive. But it’s important to realize a positive pregnancy test does not always equal a baby in nine months. MISCARRIAGE: One in five pregnancies (20 percent!) end in a natural miscarriage during the first 12 weeks of a pregnancy. An ultrasound will reveal if the pregnancy is located in the uterus and if your baby’s heart is beating, both are necessary for viability. ECTOPIC PREGNANCY: Ectopic pregnancy affects about 1 in 50 U.S. women, according to the March of Dimes. This means that the fetus implants some place other than your uterus, most likely the fallopian tube; an abortion or “just letting it resolve itself” would not be appropriate options in this situation. Ectopic pregnancy is a serious medical condition, can be life threatening, and an ultrasound can rule out an ectopic pregnancy by determining if your pregnancy is in the uterus. GESTATIONAL AGE: Knowing how far along you are is critical. “What’s my due date?” “Am I still early enough to take the abortion pill?” “How soon do I need to get into an OB/GYN? !” These questions and more can be answered by measuring the fetus through ultrasound. GETTING EVERYONE ON BOARD: Maybe you’re thrilled at life’s little surprise, but your significant other/parents/whoever just cannot see how it is going to work. Inviting them to come with you to your ultrasound can be one of the best ways to start a productive conversation. YEP- THIS IS REALLY HAPPENING: There is nothing like an ultrasound to help you grasp that, yes, this is really happening, so you can begin to think through your options. This is where Little Way shines- information is key and we can provide all the information you need to help answer your questions. PEACE OF MIND: Maybe you’re confused…the test is positive but you’ve still been getting your period, are sick, etc. Or maybe you have a history of miscarriage and are wondering constantly if that is happening again. Ultrasounds can really help give clarity into what is going on. How often do you get to see inside your body instead of reading about it on a WebMD page?! Not only do ultrasounds help determine if your pregnancy is viable, but you get a first-hand look into your own body. Honestly, that is just super amazing. And usually by the time you found out you’re pregnant, a fetal heartbeat can already be detected, and fingers, kidneys, and a brain are forming. Ultrasounds are an amazing way for women to exercise the right and duty to know what is happening inside of our bodies. The truth may not always be easy, but knowledge IS power and you need the facts.If you think you might be pregnant, we would be happy to offer you a free pregnancy test and a listening ear. If your test is positive, we’ll discuss getting you scheduled for a free ultrasound! Check out the links below for more info!